It is estimated that our bodies consist of over 10 trillion cells. How do all of these cells know what job to do? The cells that make up the human body have nucleic acids that instruct the cell on how to function. The nucleic acid deoxyribonucleic acid (DNA) stores the information in our cells and selectively shares that information when appropriate. DNA is a molecule that can be passed from generation to generation. DNA can be replicated in a carefully regulated process designed to keep the genome safe from degradation and free from errors. Seemingly small changes in the genetic code can result in life-threatening and even life-incompatible alterations to protein structure and function. In this chapter, the unique structure of DNA will be discussed, along with replication and repair processes. The primary focus will be on eukaryotic processes, but there will be some review of prokaryotic genetics to help us better understand the molecular basis of life. Much of the advancement of medicine in the past two decades has been due to our increased understanding of molecular genetics, which has led to the creation of an entire biotechnology industry centered around genomics and the utilization of nucleic acids for various diagnostic tests and therapeutic interventions. We will also take a look at some of these important principles in this chapter. There are two chemically distinct forms of nucleic acids within eukaryotic cells. Deoxyribonucleic acid (DNA) and ribonucleic acid (RNA) are polymers, each with distinct roles, that together create the molecules integral to life in all living organisms. DNA is the focus of this chapter and RNA will be discussed in more detail in Chapter 7 of MCAT Biochemistry Review. The bulk of DNA is found in chromosomes in the nucleus of eukaryotic cells, although some is also present in mitochondria and chloroplasts. · Nucleosides are composed of a five-carbon sugar (pentose) bound to a nitrogenous base and are formed by covalently linking the base to C-1′ of the sugar, as shown in Figure 6.1. Note that the carbon atoms in the sugar are labeled with a prime symbol to distinguish them from the carbon atoms in the nitrogenous base. · Nucleotides are formed when one or more phosphate groups are attached to C-5′ of a nucleoside. Often these molecules are named according to the number of phosphates bound. 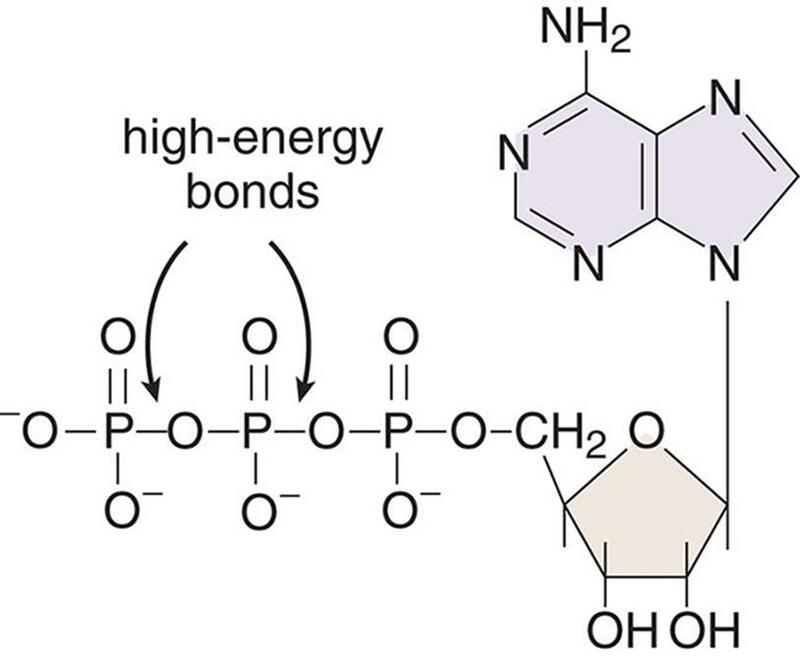 Adenosine di- and triphosphate (ADP and ATP), for example, gain their name from the number of phosphate groups attached to the nucleoside adenosine. These are high-energy compounds because of the energy associated with the repulsion between closely associated negative charges on the phosphate groups, as shown in Figure 6.2. Nucleotides are the building blocks of DNA. In Chapter 3 of MCAT General Chemistry Review, we learned that bond breaking is usually endothermic and bond making is usually exothermic. ATP offers a biologically relevant—and MCAT tested—exception to this rule. Due to all the negative charges in close proximity, removing the terminal phosphate from ATP actually releases energy, which powers our cells. Nucleic acids are classified according to the pentose they contain, as shown in Figure 6.3. If the pentose is ribose, the nucleic acid is RNA; if the pentose is deoxyribose (ribose with the 2′ –OH group replaced by –H), then it is DNA. Figure 6.3. 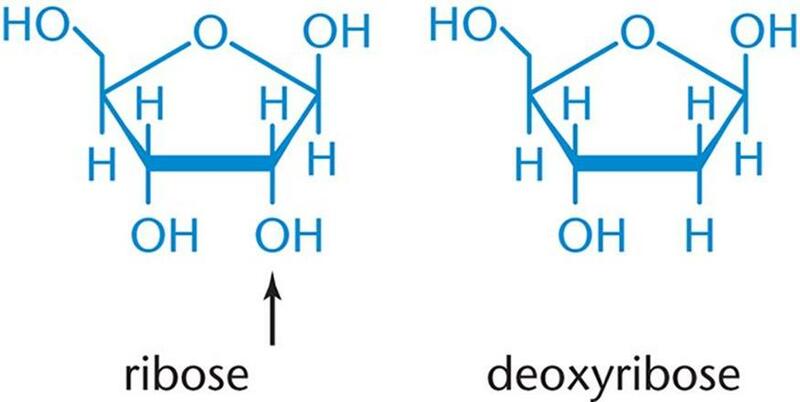 Ribose and Deoxyribose Ribose has an –OH group at C-2; deoxyribose has –H. The nomenclature for the common bases, nucleosides, and nucleotides is shown in Table 6.1. 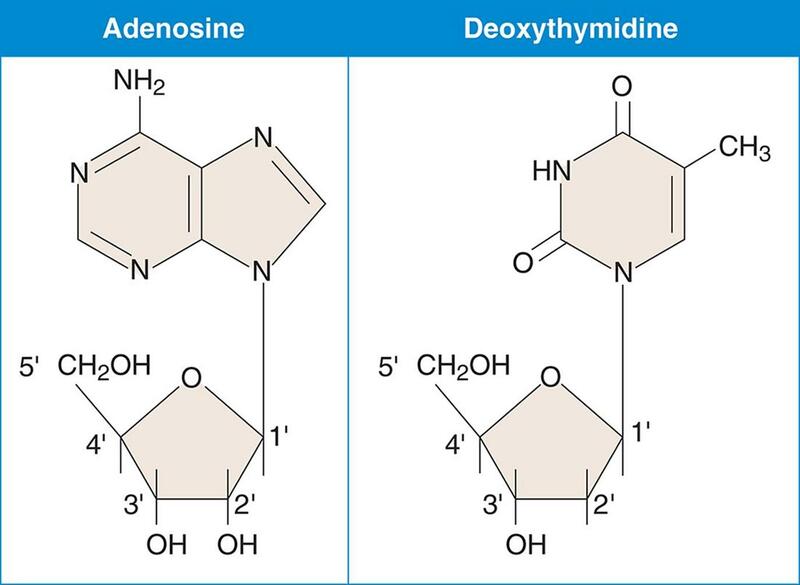 Note that there is no thymidine listed (only deoxythymidine) because thymine appears almost exclusively in DNA. Names of nucleosides and nucleotides attached to deoxyribose are shown in parentheses. The backbone of DNA is composed of alternating sugar and phosphate groups; it determines the directionality of the DNA and is always read from 5′ to 3′. It is formed as nucleotides are joined by 3′–5′ phosphodiester bonds. That is, a phosphate group links the 3′ carbon of one sugar to the 5′ phosphate group of the next incoming sugar in the chain. Phosphates carry a negative charge; thus, DNA and RNA strands have an overall negative charge. Figure 6.4. DNA Strand Polarity DNA strands run antiparallel to one another; enzymes that replicate and transcribe DNA only work in the 5′ to 3′ direction. On the MCAT, always check nucleic acids for polarity. One of the easiest ways to generate incorrect answers is to simply reverse the reading frame: 3′—GATTACA—5′ is not the same as 3′—ACATTAG—5′. DNA is generally double-stranded (dsDNA) and RNA is generally single-stranded (ssRNA). Exceptions to this rule may be seen, especially in viruses, as described in Chapter 1 of MCAT Biology Review. There are two families of nitrogen-containing bases found in nucleotides: purines and pyrimidines. The bases described below, and shown in Figure 6.5, represent the common bases in eukaryotes; however, it should be noted that exceptions may be seen in tRNA and in some prokaryotes and viruses. Purines contain two rings in their structure. The two purines found in nucleic acids are adenine (A) and guanine (G); both are found in DNA and RNA. Pyrimidines contain only one ring in their structure. The three pyrimidines are cytosine (C), thymine (T), and uracil (U); while cytosine is found in both DNA and RNA, thymine is only found in DNA and uracil is only found in RNA. To remember the types and structures of these two classes of nitrogenous bases, remember to CUT the PYe (as C, U, and T are pyrimidines). You can also note that pie has one ring of crust, and pyrimidines have only one ring in their structure. You can also remember PURe AsGold (as A and G are purines); think of gold wedding rings. It takes two gold rings at a wedding, just like purines have two rings in their structure. The most common example of an aromatic compound is benzene, but many different structures obey these rules. In an aromatic compound, the extra stability is due to the delocalized π electrons, which can travel throughout the entire compound using available p-orbitals. All six of the carbon atoms in benzene are sp2-hybridized, and each of the six orbitals overlaps equally with its two neighbors. As a result, the delocalized electrons form two π electron clouds (one above and one below the plane of the ring), as shown in Figure 6.6. This delocalization is characteristic of all aromatic molecules, and because of this, aromatic molecules are fairly unreactive. Heterocycles are ring structures that contain at least two different elements in the ring. As shown in Figure 6.5 earlier, both purines and pyrimidines contain nitrogen in their aromatic rings. Nucleic acids are thus imbued with exceptional stability. This helps to explain the utility of nucleotides as the molecule for storing genetic information. · The two strands of DNA are antiparallel; that is, the strands are oriented in opposite directions. When one strand has polarity 5′ to 3′ down the page, the other strand has 5′ to 3′ polarity up the page. · The sugar–phosphate backbone is on the outside of the helix with the nitrogenous bases on the inside. · There are specific base-pairing rules, often referred to as complementary base-pairing, as shown in Figure 6.7. An adenine (A) is always base-paired with a thymine (T) via two hydrogen bonds. A guanine (G) always pairs with cytosine (C) via three hydrogen bonds. The three hydrogen bonds make the G–C base pair interaction stronger. These hydrogen bonds, and the hydrophobic interactions between bases, provide stability to the double helix structure. Thus, the base sequence on one strand defines the base sequence on the other strand. · Because of the specific base-pairing, the amount of A equals the amount of T, and the amount of G equals the amount of C. Thus, total purines will be equal to total pyrimidines overall. These properties are known as Chargaff's rules. When writing a complementary strand of DNA, it is important to not only remember the base-pairing rules but to also keep track of the 5′ and 3′ ends. Remember that the sequences need to be both complementary and antiparallel. For example, 5′—ATCG—3′ will be complementary to 5′—CGAT—3′. If a sample of DNA has 10% G, what is the % of T? %A + %T = 80%, thus %T = 40%. The double helix of most DNA is a right-handed helix, forming what is called B-DNA, as shown in Figure 6.8. The helix in B-DNA makes a turn every 3.4 nm and contains about 10 bases within that span. 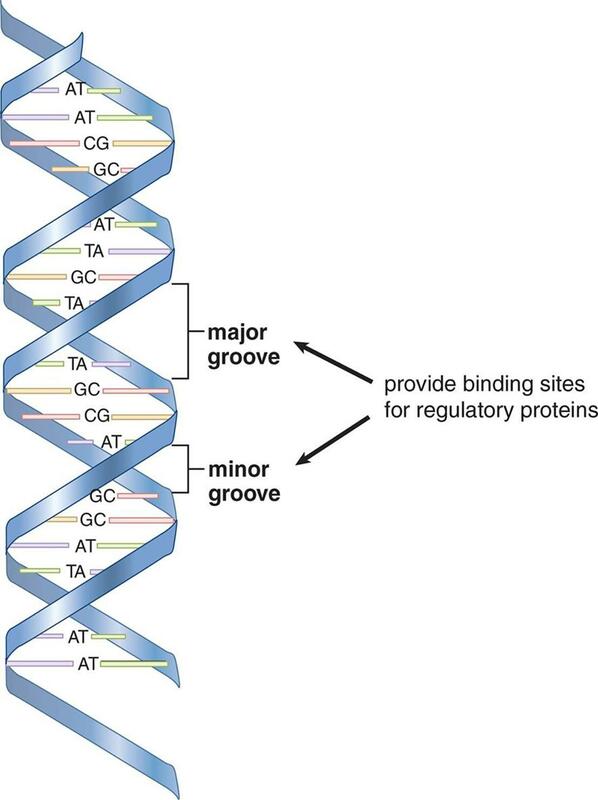 Major and minor grooves can be identified between the interlocking strands and are often the site of protein binding. Another form of DNA is called Z-DNA for its zigzag appearance; it is a left-handed helix that has a turn every 4.6 nm and contains 12 bases within each turn. A high GC-content or a high salt concentration may contribute to the formation of this form of DNA. No biological activity has been attributed to Z-DNA partly because it is unstable and difficult to research. During processes such as replication and transcription, it is necessary to gain access to the DNA. 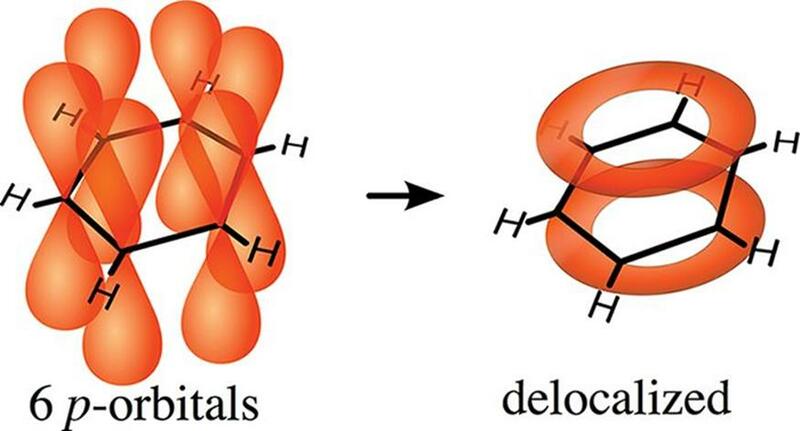 The double helical nature of DNA can be denatured by conditions that disrupt hydrogen bonding and base-pairing, resulting in the “melting” of the double helix into two single strands that have separated from each other. Notably, none of the covalent links between the nucleotides in the backbone of the DNA break during this process. Heat, alkaline pH, and chemicals like formaldehyde and urea are commonly used to denature DNA. Denatured, single-stranded DNA can be reannealed (brought back together) if the denaturing condition is slowly removed. 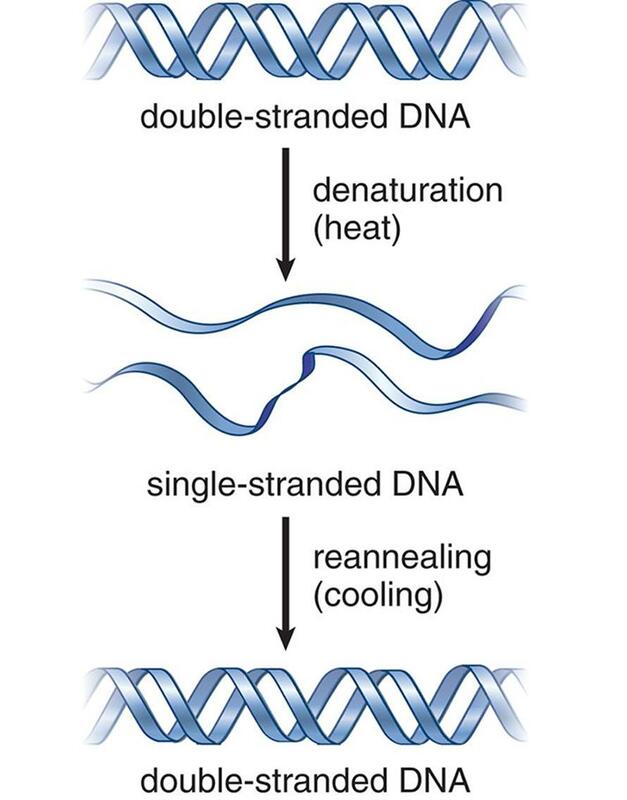 If a solution of heat-denatured DNA is slowly cooled, for example, then the two complementary strands can become paired again, as shown in Figure 6.9. Such annealing of complementary DNA strands is also an important step in many laboratory processes, such as polymerase chain reactions (PCR) and in the detection of specific DNA sequences. In these techniques, a well-characterized probe DNA (DNA with known sequence) is added to a mixture of target DNA sequences. When probe DNA binds to target DNA sequences, this may provide evidence of the presence of a gene of interest. This binding process is called hybridization and is described in further detail later in this chapter. 1. What is the difference between a nucleoside and a nucleotide? 2. What are the base-pairing rules according to the Watson–Crick model? 3. What are the three major structural differences between DNA and RNA? 4. How does the aromaticity of purines and pyrimidines underscore their genetic function? 5. 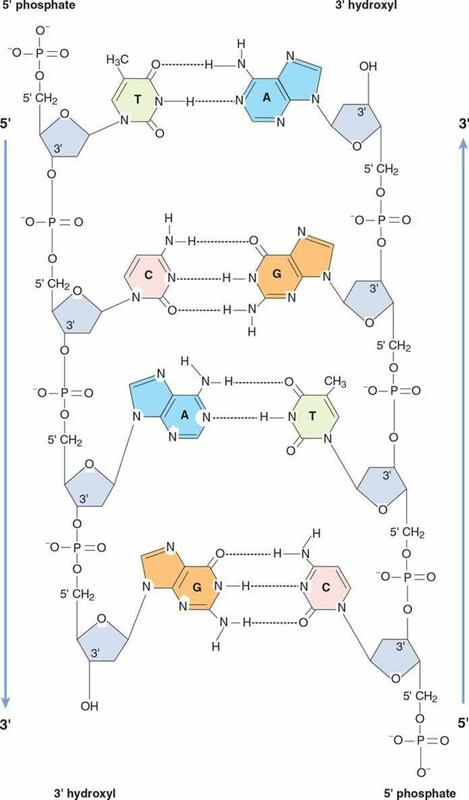 If a strand of RNA contained 15% cytosine, 15% adenine, 35% guanine, and 35% uracil, would this violate Chargaff's rules? Why or why not?